The New Dork Review of Books: The Ecstasy of Influence: Essays, Experiments, Etc. 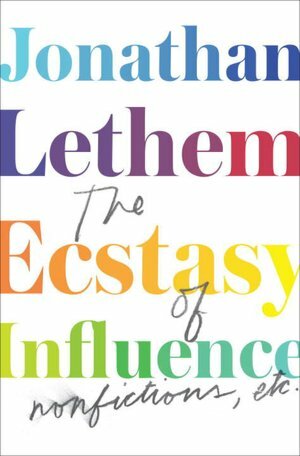 I'm a big fan of J. Lethem, but I haven't had a chance to read this yet - good to hear that it's pretty great! This book looks like a lot of fun. 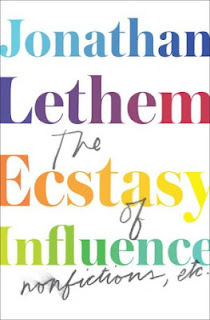 I've wanted to read Lethem's fiction for quite some time now, and I haven't done it yet. I like collections of criticism like this. Am in the middle of reading this fascinating essay on plagiarism and had to return to say thanks for alerting me to it. Too, too good. Ooh! You have me intrigued Greg. I heard Lethem read from this book on NPR recently, and his reading voice sounded pretentious in a way I didn't like, so I kinda waved him off. But it seems like it's worth giving this book a chance....the topics certainly interest me.